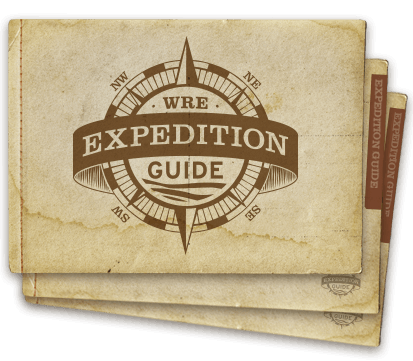 The types of rafts and boats you'll be using on your Snake River through Hell's Canyon expedition are explained in detail below. The ride and adventure level between the Oar-Rig, the Paddle Raft, and the Inflatable Kayak each offer a very unique experience. 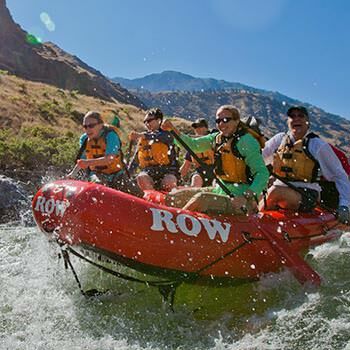 The rapids of the Snake River through Hell's Canyon are class II-IV and, therefore, are a little more powerful and exciting than in some other multi-day expeditions. The rapids here are also spaced nicely apart from each other to add excitement throughout each day, and throughout the trip. Oar-Rigs are 16', self-bailing rafts piloted by your guide, and therefore, are less "participatory" than other boats. All you have to do is hang on! Inflatable Kayaks are exciting, every time! Follow the other boats through each rapid. Steering and propulsion all depend on you with an inflatable kayak! These rafts are 11' - 13' long and carry one or two people.